Winston County DARE program will hold their graduation ceremony on Friday, April 7th at the Louisville Elementary Auditorium beginning at 9 a.m. This year more than 250 students participated in the program. As a special treat, Mississippi State women's head basketball coach Vic Shaefer will be the guest speaker at the program. 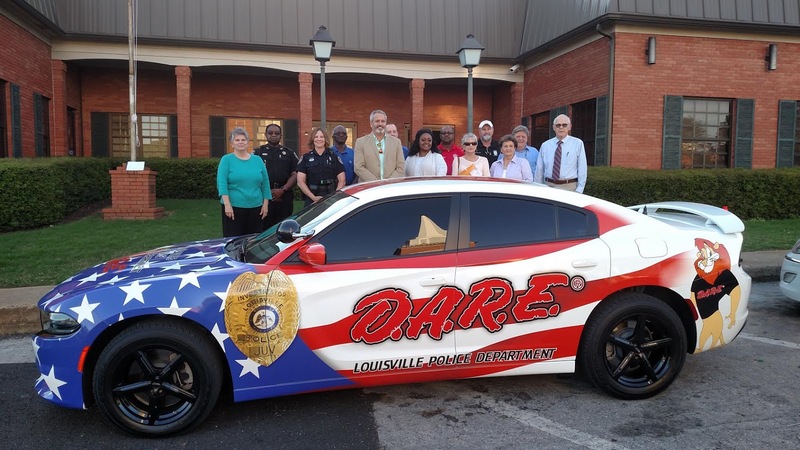 City officials are shown here along with DARE officer Tanya McWhirter with the new DARE car. The graphics were provided by the city of Noxapater and local businesses, Crowson's Auto provided the spoiler and Taylor Machine Works provided the rims. Busy Weekend Ahead in Winston County!! New Fast Food Restaurant Coming To Town! Mary Ann Connell "An Unforeseen Life: A Memoir"